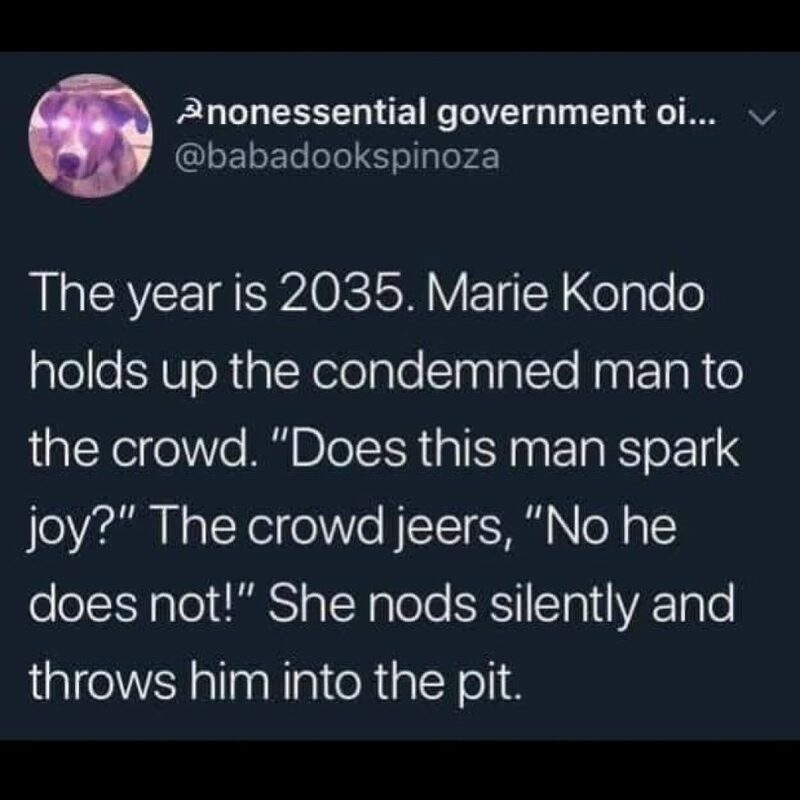 It’s 2019 and we’re living in a Marie Kondo world. However, some of you may feel downright tired of hearing about everyone’s KonMari journey. If so, you should probably stop reading, but let me say this, the ending to this story might be different than you think. Nathan and I moved into our first house together in Durham, North Carolina in May 2018. Before we moved, we downsized. We sold our furniture, donating clothing, and merged our possessions. Yet somehow, we managed to completely run out of space for anything. Fast forward to January 1st 2019, in our post-New Years Eve haze, we found ourselves couch-bound, and looking for something to binge on Netflix. 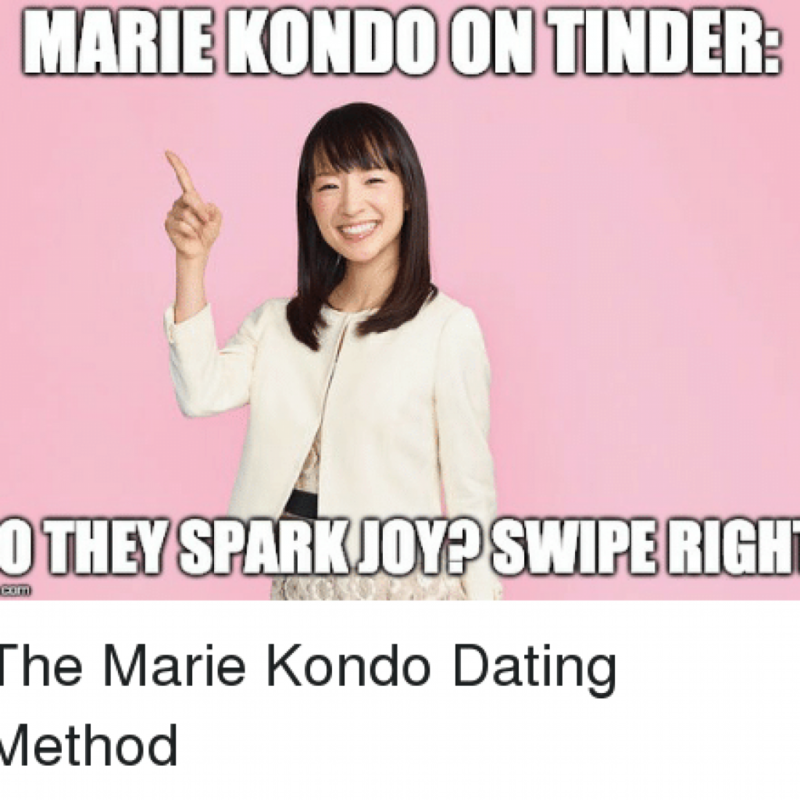 This was the moment when Marie Kondo entered our lives with her baffling love of mess. We watched the first episode (probably imagining this was going to be something along the lines of the show “Hoarders”) and saw people battle emotionally, and physically, with their “stuff”. After a few episodes, fueled by an innate New Year’s need to accomplish organization, lack of sleep from the previous night’s antics, and a deluded sense for what it takes to have a KonMari home, we decided to start step 1: Clothes. So, how does this work? Well, you pull out all of your clothing items – socks, underwear, coats, everything – and place it all in a single pile on a flat surface (e.g., floor, bed). We chose the bed. We quickly realized that our (queen) bed was, in fact, too small to support our ever growing pile of clothing. As the pile grew, so did my overwhelming sense of privilege and an underwhelming sense of joy. I mean, I had just folded our laundry and now we were piling it all over our bed at 9:00 PM. Didn’t exactly spark joy. Once the pile was complete, we began the process of picking up each item, one by one, and asking ourselves whether it brought us joy. The hardest part of this process was determining what “joy” was. How does a pair of socks spark joy? Well, that was a question that Nathan and I, independently, had to figure out. For me, if I held a piece of clothing that I didn’t get excited about when I could wear it next, out it went. For Nathan, it was a little more complicated. He got caught up in practicality – “Does this shirt serve a purpose, and therefore I should keep it?” To overcome this mental hump, we took a tip from Marie, who advices you to pick one thing out that you know immediately sparks joy. Hold that item. Think about how you feel, and why you feel that way. Once you have that feeling in your mind, hold on to it. Pick up the next item and if it doesn’t make you feel the same way, then there’s your answer. Nathan realized that he hated clothing that was uncomfortable, yet he owned shirts, pants, old socks with holes, that were uncomfortable and as a result, did not bring him joy. Since then, we’ve KonMari’ed other areas of our home, and our lives. 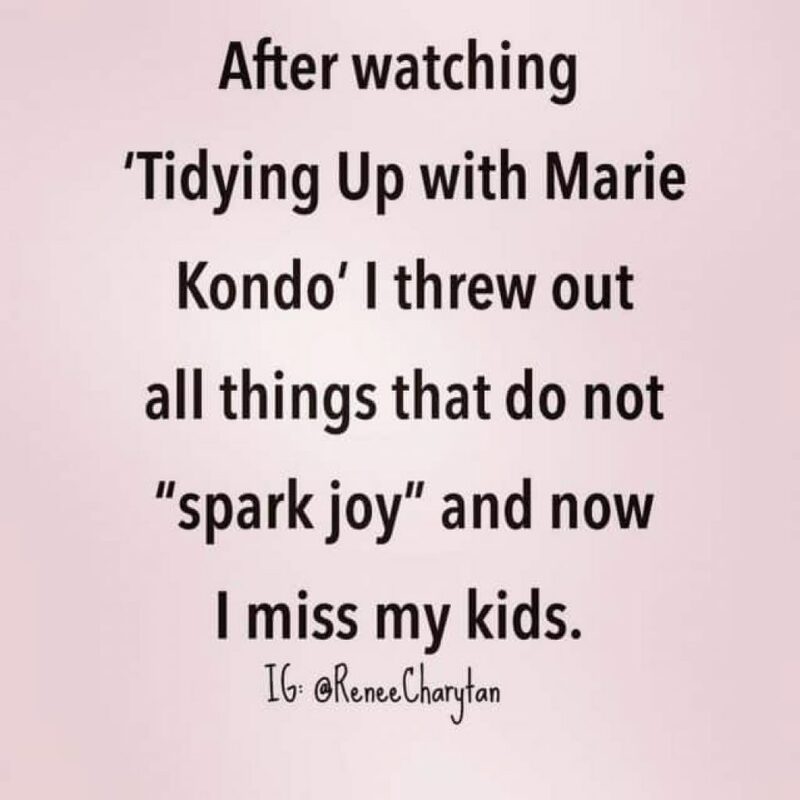 The greatest lesson I learned from integrating the KonMari method is that “joy” is unique to you. What sparks joy for me, was different than what sparks joy for Nathan, which would be different than what sparks joy for you. We spend a lot of time comparing ourselves to others. Sometimes without even realizing it. We compare our possessions, successes, milestones, and bodies to those around us. In doing so, sometimes we think that what brought someone else joy, should, and would also bring us joy. I mentioned in a post on Instagram a couple days ago that for the first few weeks of 2019 I’ve found myself in a state of deep thought and reflection. As I applied the KonMari method to our home, without even realizing it, I was applying it to my life – my business – my relationships. If it didn’t spark joy, why the hell was it still in my life? Why was I waking up in 2019, looking at my business, and realizing that I’ve turned into a fashion blogger – an area of blogging that I enjoy – but not a title that brings me joy. I saw the successes of others in the fashion blogger arena, and I thought that by manifesting The Doctorette in that same light, it would bring me success, and as a result, joy. 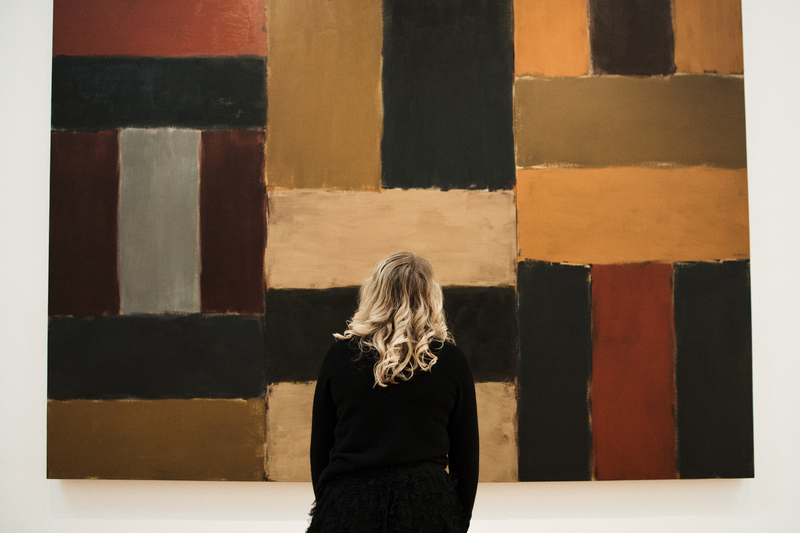 By going down a road inspired by the joy I thought I saw in others, I moved further away from what sparked joy in my life, and for my business – helping others. So, as I thanked and threw away pieces of clothing, I thanked and moved on from The Doctorette of 2018, keeping the pieces that brought joy, to myself, and to you. Finding our way back to joy, is the bigger picture, and how this story ends. What brings you joy? Do you have that feeling in your mind? Hold on to it. Now, apply that feeling to other things – relationships – your job – your possessions – do they bring you joy? If the answer is no, why are they still in your life? What can you do to spark more joy in your life? Let’s find our way back to joy – together. We really loved the concept, and have integrated the mentality in so many different areas of our lives now. I love this so much! I also have felt incredibly reflective and focused after the new year and I love the intentionality everyone is moving towards in the ownership of their own happiness! Gretta! Thank you so much for stopping by! I couldn’t agree with you more. 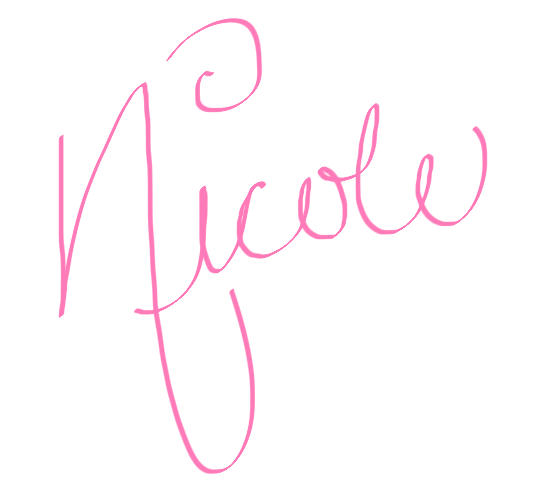 I love the part where you said “taking ownership” – I really feel like this is the key.